Conspiracy theories are a way of life, they’re everywhere. Chances are you could find a conspiracy theory about anything and the Tudors are no exception. Forget wondering whether Elizabeth and Leicester were an item, here we see how not only were they an item, but parents to, amongst others, Shakespeare himself. These are not the most believable theories, but they are hilarious interesting. Was Elizabeth I a man? To the South West of London is the village of Bisley in Surrey. Back in the day, when May Day celebrations were a thing Bisley had the unusual tradition of dressing a boy in Elizabethan dress and crowning him the May Queen. When 19th century author, Bram Stoker discovered this bizarre occurrence he discovered the legend of ‘The Bisley Boy’ which fascinated him, so much so that he devoted an entire chapter to it in his final book Famous Impostors. Apparently during 1543/44 the Lady Elizabeth (as she was then known) was sent by her father to Bisley to avoid an outbreak of the plague in London. Unfortunately she was not so lucky and during her stay she contracted the illness and died shortly afterwards. Elizabeth’s governess, Kat Ashley, fearing Henry VIII’s mercurial temper decided that instead of revealing the tragedy she would disguise a local village girl as Elizabeth and deceive the visiting king. When no girl of a suitable age or likeness could be found, Kat settled on a red headed boy who had been a playmate of Elizabeth. Dressed in the deceased princess’ clothes the boy posed as Elizabeth and fooled Henry, who did not notice the change given his lack of contact with the girl and the shortness of the visit. The deception never ended and the boy settled into a life posing endlessly as the princess and later ascended the throne as Elizabeth I, his secret remaining so even beyond his death. Stoker believed that this theory explained a number of peculiarities regarding Elizabeth I’s life. She refused to marry, she was incredibly private to the point of being secretive, she only allowed specific doctors whom she knew well to treat her, she wore wigs in later life, not to mention the fact that she was so quick witted and well educated she couldn’t possibly have been a woman. As if this wasn’t “proof” enough for you, apparently over three centuries later, a churchman (who happened to believe staunchly in the Bisley Boy theory though I’m sure this has nothing to do with what followed) claimed to have found a stone coffin within the depths of Bisley’s Tudor house. Within this coffin were the remains of a red haired girl, dressed in fine Tudor clothing. Dum Dum Dum! 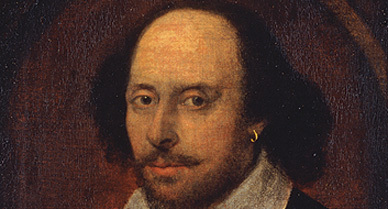 Since the 19th Century the idea that William Shakespeare was not the author of his works has been widely considered. Shakespeare hailed from such a humble background that he apparently lacked the education required to go down as one of England’s greatest ever wordsmiths. His lack of connections and general worldliness added to a complete absence of connections contrasts greatly with the familiarity with which he wrote of royal court and foreign lands. This gave rise to the notion that the true author was actually a courtier who required the person of William Shakespeare to protect their identity. The evidence against Shakespeare is entirely circumstantial (unlike the Bisley Boy theory above – Stoker had us at ‘wigs’) as he lived a completely obscure life with only the scantest records available documenting his life events, and even they are limited to basic facts such as his place of birth and date of marriage. It is this complete absence of records that theorists use as evidence against Shakespeare’s authorship. It is thought unlikely that an uneducated son of a glover would have the knowledge and familiarity with aristocratic pastimes, courtly culture and foreign diplomacy to have written about them so fluently. In fact, documents relating to Shakespeare’s daughters show that they were illiterate which theorists have taken to show that the man himself could not read or write. Instead Shakespeare was thought to have been simply a businessman involved in the London theatre scene. When Shakespeare died his will, written in standard, legal language rather than the flowery prose you might expect of London’s greatest playwright, deals, at great length, of the disposal of his estate. Notably absent, however, are any references to books, poems or plays written or owned by the man, even though at the time of his death he had eighteen plays unpublished. There have been over eighty candidates suggested for the authorship of Shakespeare’s writings. Naturally, some are considered more popular than others. Specifically; Francis Bacon (whose writings have parallels and similar language to that of Shakespeare), Edward de Vere, 17th Earl of Oxford (a keen supporter of the theatre and prolific writer – again with similarities to Shakespearean language) and Christopher Marlowe (already a playwright but required to fake his own death and continue writing under the new identity of William Shakespeare to avoid creditors). Edward de Vere, Earl of Oxford. Also William Shakespeare. Also secretly married to Elizabeth I. Also her son. Why not. As a variation on the idea that Shakespeare was not the author of his works, some believe that within his writings lie secret messages not only pointing to the true identity of the writer, but of a hidden relationship with Queen Elizabeth I. Brace yourselves, this is about to get wild. Apparently, not only did Francis Bacon write Shakespeare’s works anonymously but within them he had hidden secret messages within a secret code. 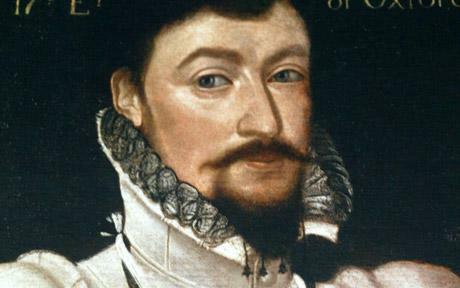 This code, translated by two Americans during the 19th century, revealed that Elizabeth I had secretly married Robert Dudley, Earl of Leicester. Together they had had two children; Bacon himself and Robert Devereux, Earl of Essex. Bacon should have been named king after Elizabeth’s death, upon which he would have led England into a golden age. However his mother had banned him from the throne and executed his brother, Essex, when he started to get ideas of taking the throne for himself. Unable to lead England into a glorious age, Bacon settled to lead them into a glorious literary age through his anonymous writings instead. Far more popular a candidate for Shakespeare’s true identity; Edward de Vere, Earl of Oxford. When the Oxford theorists realised that the Baconians were suggesting the above, they jumped on the bandwagon adapted the theory to apply to their candidate. Elizabeth and Oxford were supposedly lovers who had a secret illegitimate child; William Hughes. Hughes became an actor and adopted the stage name of William Shakespeare, the same name that his father was writing under. Great hopes were placed upon this humble son, who could have claimed the throne and continued the Tudor line, as revealed within Shakespeare’s sonnets which contain secret messages from father to son. Later it was decided that Hughes was too fictional obscure a person, so the theory was amended to promote Henry Wriothesley, Earl of Southampton to the role of the illegitimate son. “Shakespeare” after all dedicated two of his poems to Southampton. Reeling yet? As if none of this was...intriguing enough, in 2001 Paul Streitz wrote Oxford: Son of Queen Elizabeth, which adapted and expanded de Vere’s involvement with Elizabeth I. 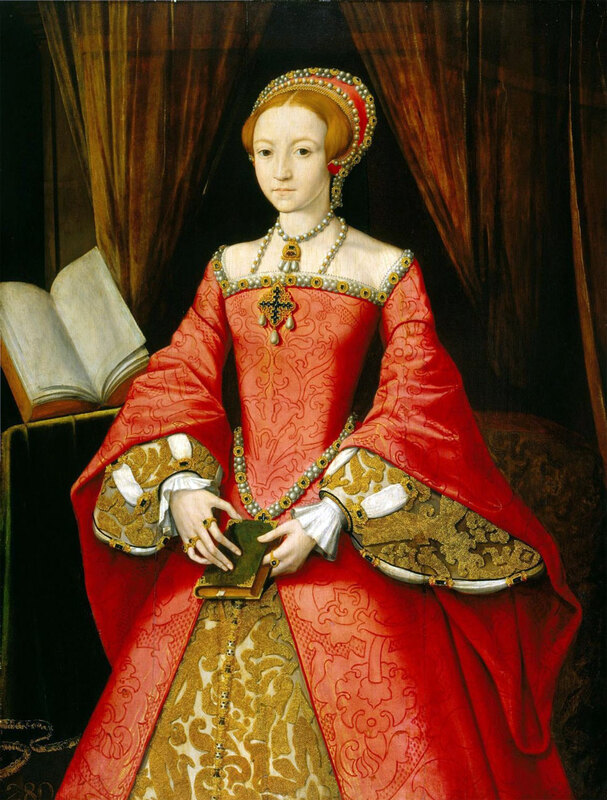 Apparently when Elizabeth I was fourteen she bore a child by Thomas Seymour. That son was placed in the house of John de Vere, where he was brought up as de Vere’s son and the next Earl of Oxford. As well as Oxford, Elizabeth had four children by the Earl of Leicester, before she bore her sixth and final child Henry Wriothesley, Earl of Southampton. Wriothesley was not fathered by the Earl of Leicester, but rather by Oxford in order to explain the Shakespearean declarations to Southampton. But that would have Elizabeth I, the Virgin Queen, incestuously involved with her eldest son, I hear you cry. Yes. Yes, it would. The plot of Elizabeth’s friend dressing as her deserves a movie. Or, talkie? That’s what they were called back then, right?